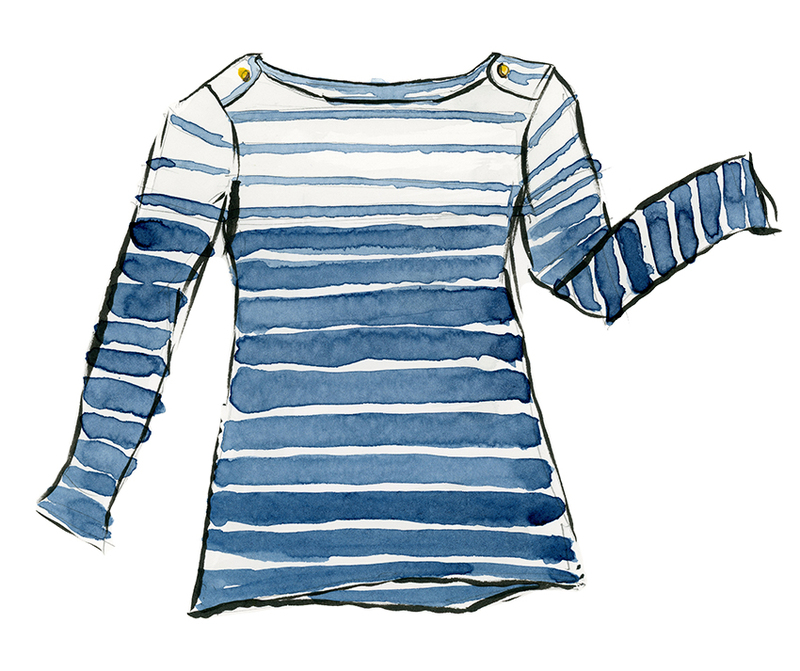 My sketch of my old, blue, striped, boatneck, top with metal snaps at the neck. I wore it until holes appeared under the arms. It served me well for years.